Enjoy watching some of the greatest names in quilting. Every TQS member can be inspired by the quilting giants on whose shoulders we stand, as we look into quilting’s future. Join us – the view is spectacular from up here! So far, I watched Yvonne. Great presentation! I learned about making fun fused faces, how to burn silk edges, and how she paints on silk. All the Legend Shows are open through January 1, 2015. Just click on the name…….. I am posting about this exhibit, even though there are only a few more days, because this exhibit sounds like fun! View the beautiful and whimsical Cow themed quilts created by members of the Mississippi Valley Quilters Guild. The quilters used their imagination, running like a herd on a mission for greener pastures, to create their artwork. Every quilt has a story. “American Quilts” is being shown through June 30, 2015, at the Rockefeller Folk Art Museum in Williamsburg, Virginia. Twelve of the quilts from Four Centuries of American Quilts, about which I had posted on December 21st, are being exhibited. There is an interesting article with photos about the exhibit in the December 27, 2014, Wall Street Journal. 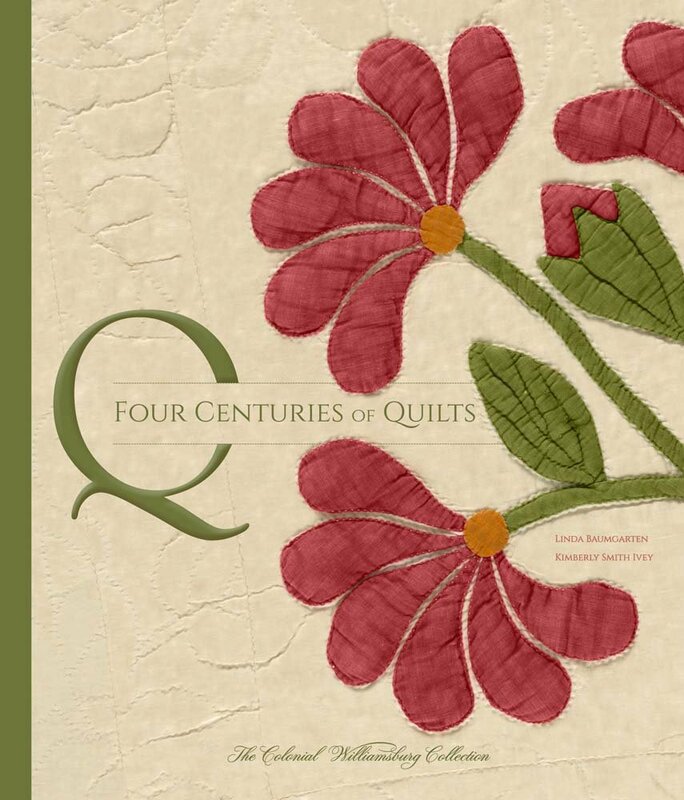 Beautifully photographed and well written is Four Centuries of Quilts The Colonial Williamsburg Collection by Linda Baumgarten and Kimberly Smith Ivey. This excellent reference book published this Fall is taken from the world-renowned collection of the Colonial Williamsburg Foundation. There are more than 300 color images and details. The evolution of quilting styles and trends as they relate to the social, political, and economic issues of their time. Grand in scope and handsomely produced, Four Centuries of Quilts: The Colonial Williamsburg Collection is sure to be one of the most useful and beloved references on quilts. Here are some examples of the award-winning quilts at International Quilt Festival 2014 in Houston, Texas. An online Smilebox slide show of Innovative Applique quilts from International Quilt Festival 2014, Houston, Texas, presented by The Quilt Show. My internet was down for a week and am now up and running.